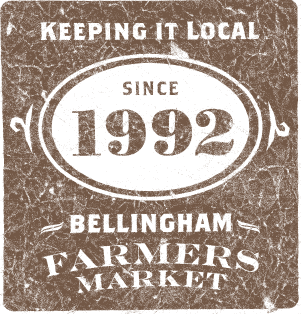 Our farmer vendors are the best Whatcom and Skagit Counties have to offer. Collectively they sell fresh, produce, flowers and plants. Visit weekly and experience the broad mix of products. Our crafters are chosen by a jury of local craft and art professionals, ensuring that the market offerings are unique and well crafted. Buy from old favorites and new members. Our one of a kind food vendors serve fresh offerings weekly. Looking for a massage while shopping, find it here.